Expired 6mo ago . Last validated 7mo ago . Used 5 times. Jose This deal works as described. 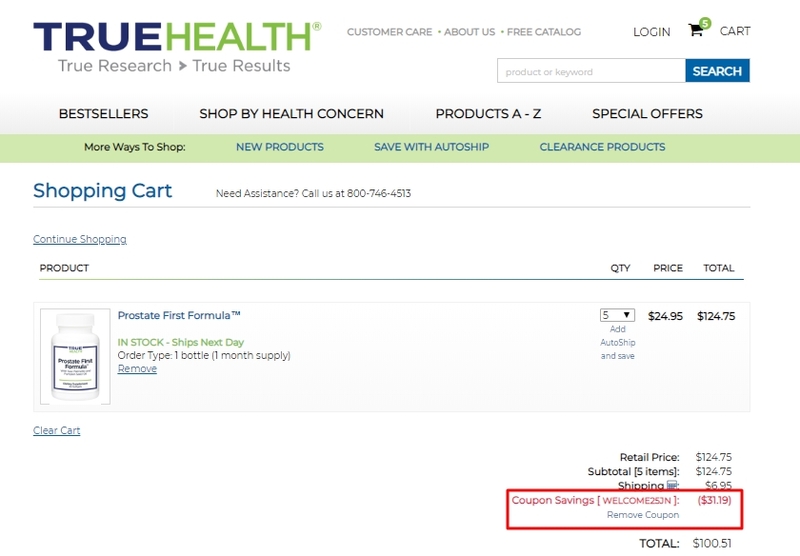 Go to the web site, add your item to cart, proceed to checkout, enter promo code <WELCOME25JN> and get 25% off your next order at True Health. German This deal works as described. 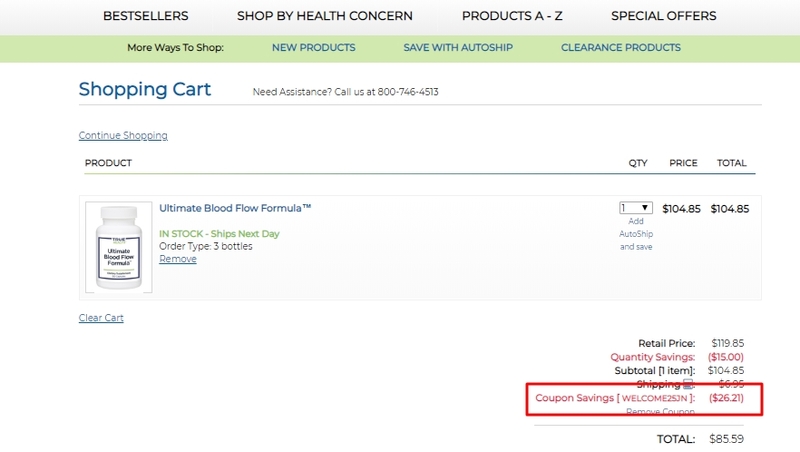 Go to the web site, add your item to cart, proceed to checkout, enter promo code <WELCOME25JN> and get 25% off your next order at True Health. 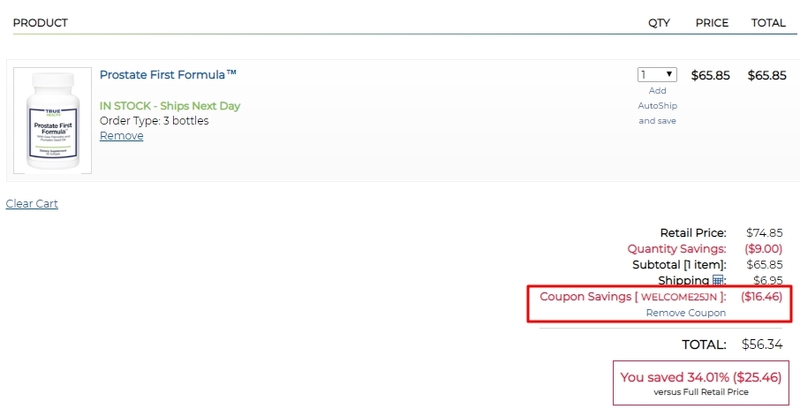 @dealsadvocate As of 07/12/18, I tested this promo code and verified that it works as described. Exclusions apply.